The next chapter in the beginning of the X-Men film story is soon to arrive in theaters. 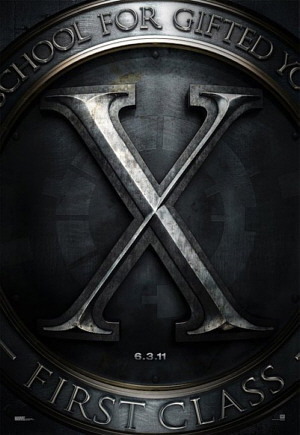 X-Men: First Class is the telling of an early Xavier School for the Gifted as it focuses on Charles Xavier (James McAvoy) and Erik Lehnsherr (Michael Fassbender) before they became Professor X and Magneto. The trailer shows us a creative world of gifted evolutionary mutants learning from Charles. It is clear from the trailer and past films that Erik will eventually turn against his friend Charles. The film features classic uniforms from the original comics, yellow spandex. Unfortunately for some fans, this film does not appear to feature past favorites such as Wolverine (Hugh Jackman) and Cyclops (James Marsden). The action, rip-roaring effect and explosive feud of Charles and Erik looks to be one of the best films of 2011. A sure to be edge of your seat, popcorn film as the thrills hit you this Summer. X-Men: First Class has the making to be a thrill ride coming June 3, 2011. Could There Be A Third “Hobbit” Film? There are currently 1 Comment on “X-Men: First Class” (2011) – A Trailer Review. Perhaps you would like to add one of your own?